Good ole Chevrolet, right up there with baseball, hot dogs, and apple pie when it comes to being an American classic! 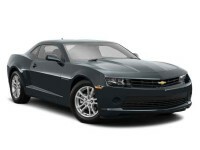 And we’ve got every new model Chevrolet made: The Camaro Convertible. 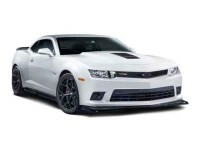 Camaro Coupe. City Express Minivan. Colorado Crew Cab. Colorado Extended Cab. Corvette Stingray Convertible. Corvette Stingray Coupe. Corvette Convertible. Corvette Coupe. 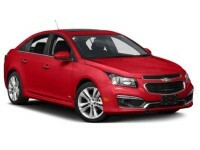 Cruze Diesel. Cruze Sedan. Equinox SUV. Express Cargo Diesel. Express Cargo Van. Express Diesel. Express Van. 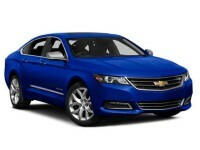 Impala Hybrid. Impala Sedan. Malibu Hybrid. Malibu Sedan. Silverado 1500 Crew Cab. Silverado 1500 Double Cab. 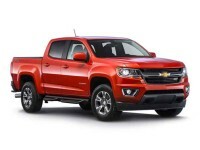 Silverado 1500 Regular Cab. Silverado 2500HD Crew Cab. Silverado 2500HD Double Cab. Silverado 2500HD Regular Cab. Silverado 3500HD Crew Cab. Silverado 3500HD Double Cab. 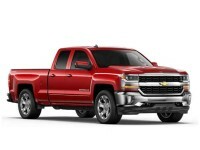 Silverado 3500HD Regular Cab. Sonic Hatchback. Sonic Sedan. Spark EV Hatchback. Spark Hatchback. SS Sedan. 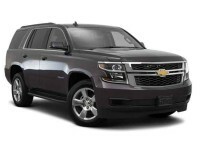 Suburban SUV. 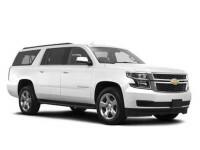 Tahoe SUV. Traverse SUV. 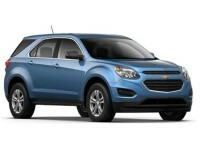 Trax SUV. 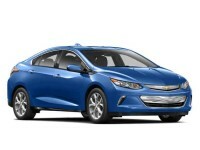 And the Volt Hatchback. But it’s not just Chevies that are our specialty! 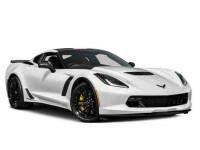 We’ve also got every new model vehicle made by Acura, Audi, BMW, Buick, Cadillac, Chrysler, Dodge, Ford, GMC, Honda, Hyundai, Infiniti, Jaguar, Jeep, Kia, Land Rover, Lexus, Lincoln, Maserati, Mazda, Mercedes-Benz, MINI, Mitsubishi, Nissan, Porsche, Ram, Subaru, Smart, Toyota, Volkswagen, and Volvo as well! Because of all the options we offer when it comes to vehicles, your having to pick just one is the only thing that won’t be easy on you if you lease with us. Everything else, from our prices, to the leasing experience itself, to getting financing, we’ll make very convenient and easy on you! Let’s start with our prices. To put it simply, they’re the lowest around. No other leasing agency can touch us when it comes to leasing prices. The reason why is simple: we keep our operating costs down, and one of the biggest ways we do this is by not having a physical car lot. They’re not only unnecessary and inconvenient, as you’ll see, but expensive! Property costs, property taxes, property insurance, utility bills – the number of expenses that having a physical lot entails pile high and deep pretty quickly. By not having those expenses, our overhead is lower than those of our competitors, so we can beat them any time when it comes to prices. So, instead of a physical car lot, we have a car lot on the internet. Our virtual lot is one you can visit any time you like, any time of the day or night, with no worries about holidays or business hours. You won’t have to worry about how you’ll get to our lot, either. There’ll be no reason for you to call a cab of ask friends for rides; instead, you just turn on your trusty computer and surf to our site to check out our inventory. And as you do, there won’t be any salesman behind you trying to sell you stuff and yammering at you. Take all the time you need! If you have any questions as you’re exploring our inventory, all you need to do is call us and ask. We’re always there for you when you need us! And we’re there for you, too, when it comes time for you to think about how you’ll finance the vehicle you’ve chosen. We’ll be a huge help to you then, working directly with banks and other lenders ourselves in order to get you a really great deal. If you’re like most, what you’re after are low interest rates, low monthly payments, and fair, reasonable terms, and that’s what we go for. And get. If you’re thinking your credit rating isn’t good enough to qualify for financing, don’t be too sure! We’ve been able to help people before whose credit ratings left a lot to be desired – even people who’d already tried to get financing but were let down! So don’t go quitting on us! Give us a call! We’d love to at least try to work something out for you! The day folks get to drive their new vehicles tends to be a happy one, and we want to keep it that way for you. We don’t want you having to call cabs or call friends for rides so you can pick up your new lease! So instead, we’ll deliver it to you! Whether you want it delivered to your home, office, or most anyplace else – it’s all the same to us! Just name the place, and leave the worrying to us! 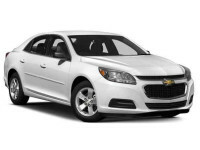 If you have any questions, or if you’re all ready to lease a Chevy or any other new model vehicle we offer, just call us up at 860-352-5599. We’d love to meet you! And we’d love to help you in any way we can!